Schedule Your Organization's MFHA Training Today! Mental Health First Aid is an 8-hour course that teaches you how to identify, understand and respond to signs of mental illnesses and substance use disorders. The training gives you the skills you need to reach out and provide initial help and support to someone who may be developing a mental health or substance use problem or experiencing a crisis. Mental Health First Aid courses are for anyone who wants to make their community healthier, happier and safer for all. 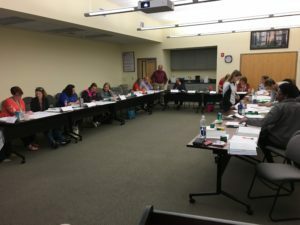 Thanks to grant funding by GiveWell Community Foundation, Peace River Center offers free Mental Health First Aid training to businesses and organizations in Polk, Hardee, and Highlands counties. Read more about everything MHFA entails and then complete the interest form below to schedule a training for your organization. Just as CPR training helps a person with no clinical training assist an individual following a heart attack, Mental Health First Aid training helps a person assist someone experiencing a mental health crisis such as contemplating suicide. In both situations, the goal is to help support an individual until appropriate professional help arrives. 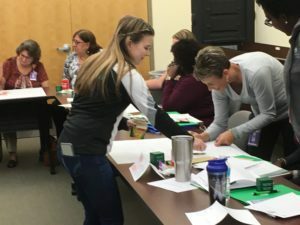 Mental Health First Aiders learn a single 5-step strategy that includes assessing risk, respectfully listening to and supporting the individual in crisis, and identifying appropriate professional help and other supports. Participants are also introduced to risk factors and warning signs for mental health or substance use problems, engage in experiential activities that build an understanding of the impact of illness on individuals and families and learn about evidence-supported treatment and self-help strategies. Mental Health First Aid course? Trainees are taught how to apply the 5-step action plan in a variety of situations such as helping someone through a panic attack, engaging with someone who may be suicidal, or assisting an individual who has overdosed. An important component of the Mental Health First Aid course is the opportunity to practice the intervention strategy rather than to just learn about it. This simple experience can make it easier to actually apply the knowledge in a real-life situation. 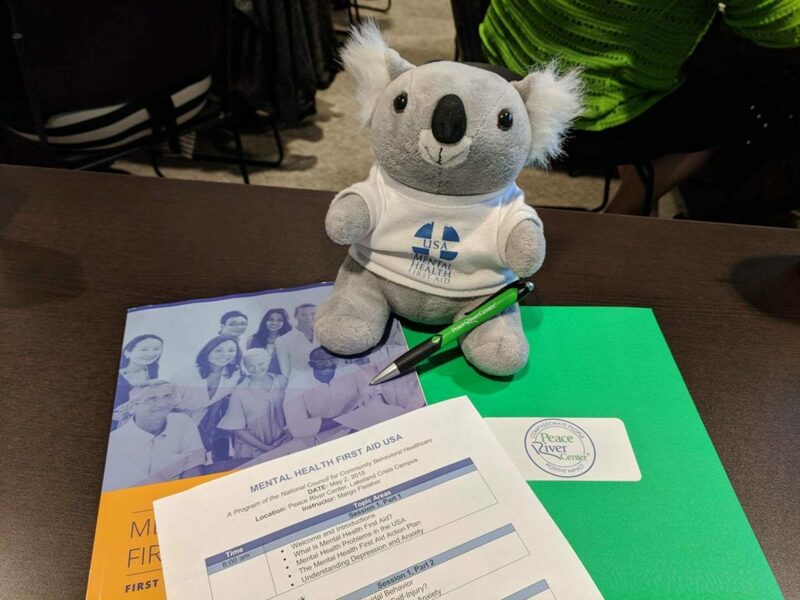 Thanks to free Mental Health First Aid (MHFA) courses provided by GiveWell grant funding we can all be more aware and more informed about how to identify, understand and respond to signs of mental illnesses and substance use disorders. MHFA courses are available on select Tuesdays and Fridays of the month. Please complete the information below and someone will contact you about scheduling a free Mental Health First Aid course.